The Summer of Wonder is happening across the city at every Free Library of Philadelphia location. It’s also happening online through the end of August. But did you know that the Summer of Wonder is also happening at daycare centers, camps, and summer school programs? The Free Library hires a special team of Outreach Specialists to play games and read with kids of all ages, as well as sign them up for the Summer of Wonder. Their objective is to encourage learning while school is out. Outreach Specialists bring library card sign-up paperwork wherever they go, and prizes, too! We asked some of our Specialists to share a few fun facts about themselves so our blog readers could learn more about them. Read below and get to know our team! 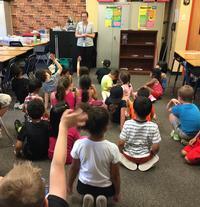 How many summers have you been an Outreach Specialist? What’s the best thing about summertime? Ah! Great question. Just about everything. The sun’s shining bright, people are most inclined to take that dream vacation or just dream about vacationing, and there is a definite air of excitement as everyone seems to be looking forward to weekend fun of some sort. 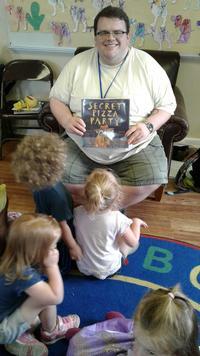 What’s your favorite thing about being a Summer Reading Outreach Specialist? 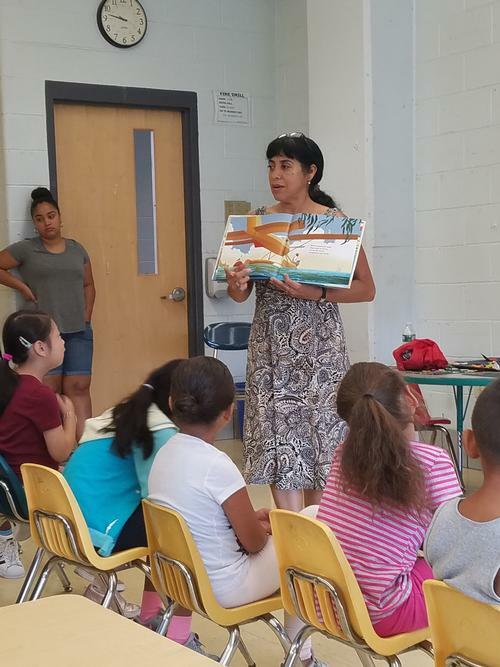 Being able to engage and interact with different groups of kids around the area and encouraging kids to read during the summer to decrease the summer slide! Who’s your favorite Philadelphia celebrity and why? Kevin Hart, because he can relate to living in our communities and he has a good sense of humor of his experiences growing up. The Hundred Dresses by Eleanor Estes. Any special talents or facts about yourself that you’d like to share? I’m a professional actor, founded Shakespeare in Clark Park, and was its Artistic Director for 10 years. What are some of the best things about Philadelphia? We have the most public art of any city and one of the finest public parks in the world. Our musicians are world-class, and, of course, our beer scene is amazing! Custard & Cakes Creamery opening in Roxborough! Who’s your favorite Philadelphia celebrity? My favorite Philadelphia celebrities are Questlove and Jill Scott. What is your current favorite book and author? Their Eyes Were Watching God by Zora Neale Hurston. The history of our city and the diversity of our neighborhoods. Spending more time at the beach with my family. What’s your favorite thing about being a Summer Outreach Specialist? Being able to have contact with kids and connect them and their families to their local libraries. Walking in the forest and visiting gardens and reading peacefully. What’s your current favorite book? The Midnight series by Sister Souljah. Grace Kelly – she was the epitome of class and elegance. Even though she left Philadelphia, she stayed close. I loved her so much [that] I even named my daughter after her. Little Women [by Louisa May Alcott] – and it still is! Shannon Owens leads an engaging discussion with a group of children. Linda Maldonado conducts a story time with a group of children. Mark Costello reads to a group of children. Add a Comment to Meet Our Summer of Wonder Outreach Team!